What is the Bay Area Entrepreneurship Alliance (BAE Alliance)? In December of 2017 the Alliance for Community Development, a 501(c)(3), launched the BAE Alliance: a membership organization making business and financial support more accessible to local, underrepresented entrepreneurs. ​BAE Alliance members are entrepreneurs, business support providers, and financial support providers who are committed to shared VALUES: Viability, Accessibility, Local leadership, Unity, Equity, and Sustainability. ​Together, we work to increase access to opportunity and capital for economic growth to all entrepreneurs across the nine-county Bay Area. 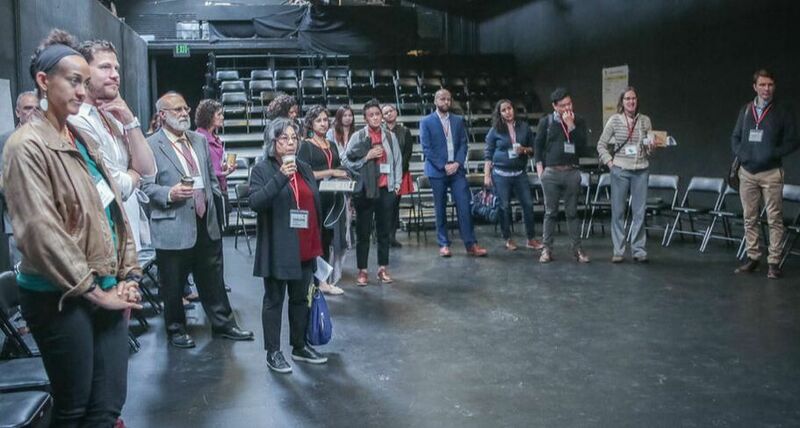 Through our navigational support tools, member collaboration, and quarterly events, we coordinate the Bay Area's rich entrepreneurship ecosystem, following progress over time and identifying gaps and patterns. Who may join the BAE Alliance? Anyone who either identifies as an entrepreneur or an entrepreneurship support provider may join the BAE Alliance. Certainly, every one of the 350+ entrepreneurship support providers in the Bay Area Entrepreneurship Ecosystem database is a potential member of the BAE Alliance: Bay Area Entrepreneurship Database. And certainly any entrepreneur who seeks the support of the Bay Area Entrepreneurship Ecosystem is a potential member of the BAE Alliance. All stakeholders must be invited to the table if we are to increase access to opportunity and capital for all entrepreneurs. All ecosystem stakeholder groups have issues to address and strengths to bring to the table. We acknowledge how challenging entrepreneurship and economic development can be, and encourage expressions of vulnerability, this is how we build trust. Who are current BAE Alliance Members? Monthly check-ins with an Alliance Navigator, who connects you with the right resource at the right time. If requested, your Navigator will help hold you accountable, reminding you of your stated short- and long-term goals with each check-in. Free ticket to quarterly membership meetings with speed networking sessions with BAE Alliance's Business Supporter and Financial Supporter members. Discount ticket to annual Bay Area Capital Connections conference. Logo displayed on BAE Alliance website. Quarterly feedback on your services, taken from Navigation sessions and anonymously provided to you. Free ticket to quarterly membership meetings with speed networking sessions with fellow BAE Alliance's Entrepreneur members and fellow support providers. Invitations to join monthly Featured Entrepreneur meetings. Free Navigator Training for you or one of your team members. Coordination with fellow financial support providers to streamline intake process and increase deal flow.